The Congress and the AAP moved the Election Commission over NaMo TV's broadcast ahead of the Lok Sabha elections, calling it a violation of model code of conduct. 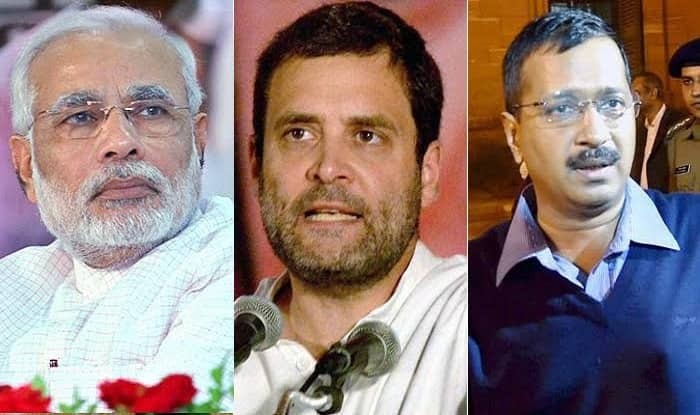 New Delhi: The Aam Aadmi Party (AAP) and the Congress lodged separate complaints with the Election Commission (EC) demanding suspension of ‘NaMo TV’ channel telecast, which they said was in violation of the model code of conduct in the run-up to the Lok Sabha elections. The Arvind Kejriwal-led party asked the EC if the BJP had sought approval for the launch of the channel, which has Prime Minister Narendra Modi’s photograph on its logo and runs all his speeches. “Can permission be granted to a party to have its own TV channel even after the Model Code of Conduct is enforced? If no permission was given by the ECI, then what action has been taken?,” the AAP said in its letter to the poll panel. It also asked if the Bharatiya Janata Party (BJP) had approached the Media Certification Committee, established to certify the contents and cost of a telecast. “If not, why show-cause was not issued for the violation of the MCC,” asked the letter sent by the AAP’s legal cell. “We want the Election Commission to stop the telecast of the television channel immediately for holding elections in free and fair manner,” Shukla said, adding that the Congress has written to the office of the state Chief Electoral Officer (CEO). Meanwhile, Indore district administration has taken cognisance of certain reports in circulation on the social media about the NaMo television channel and has sought direction from the Election Commission.